Since the country’s founding, Panamanians have been escaping the city crowds and the sweltering lowlands to relax in the scenic highlands. The mountain towns of Panama have a lot in common: cool temperatures, frequent cloud cover, light rainfall, lush vegetation, abundant wildlife and birds, refreshing streams, scenic hiking trails, and a variety of outdoor activities to enjoy the natural environment. If that sounds good to you, here’s where you’ll find Panama’s best mountain towns. Just a bit northeast of Panama City, Cerro Azul rises up to a peak of 950 meters (3,000 feet). This area was developed by the Melo Company, producers of poultry, eggs, and animal care products, who still have their headquarters there. An easy 45-minute drive from downtown Panama City, there is no town, per se; just a few small stores on the way in, but Los Pueblos Mall and Tocumen Airport are close by. Cerro Azul (population approximately 1,300) is a good choice for those who want to live outside the city, yet close enough to enjoy all the perks of big-city life. 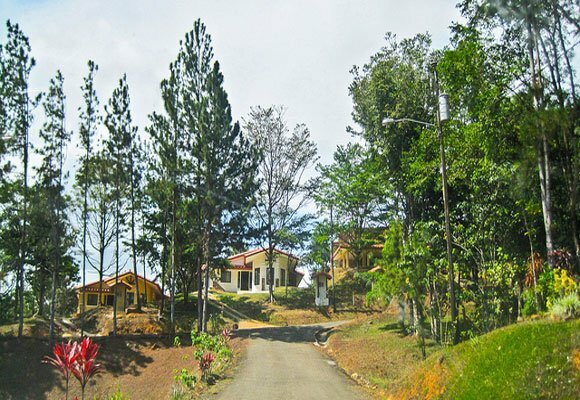 Characterized by large lots, steep inclines, pine trees, and winding gravel roads, Cerro Azul is a mountain getaway. It comprises several communities, including Buena Vista, Las Nubes, and Los Altos, as well as a lake with a small resort on the shoreline. Residents of Panama City and surroundings built chalet-type vacation homes among the trees and flowering shrubs. The whole family packs up and heads for the hills during Christmas and Independence holidays, Holy Week, school vacations, and long weekends. Today, many of the homes have been remodeled to suit foreigners and expats who have moved into the area. 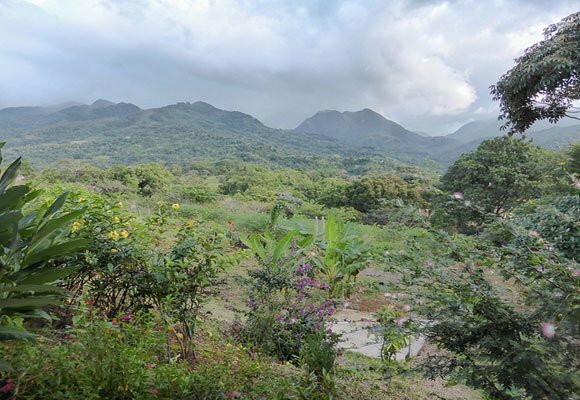 About an hour-and-a-half west of Panama City is El Valle de Anton. 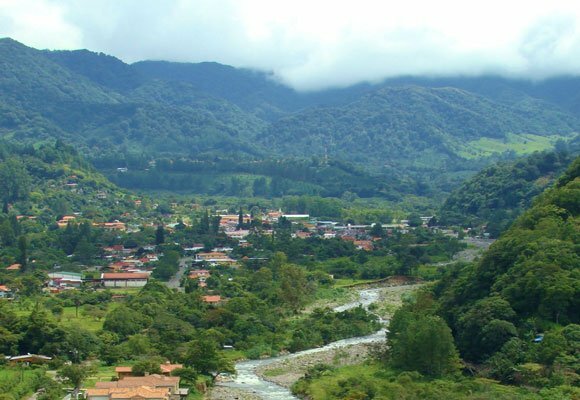 There is a proper town of El Valle (population approximately 14,000), with plenty of shops, hotels, and restaurants, as well as tourist attractions and spas. Their market, open daily in the center of town, is well-known and especially busy on Sundays. Local vendors sell fresh produce, plants and cut flowers, handicrafts of every description, sandals, and jewelry. El Valle rests in the crater of a long-dormant volcano and is surrounded by slopes covered in all shades of green. Hiking paths take you past cool streams, waterfalls, and unusual trees, and the forest is home to the elusive and endangered golden frog. 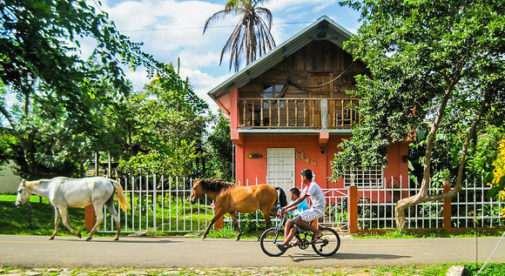 El Valle was also originally a vacation, country home community for wealthy Panamanians, and it still is. An expat community has grown in recent years, and it is a popular backpacker destination. One advantage of El Valle is its proximity to Coronado for shopping and the beach. Continuing west along the highway you’ll come to Santa Fe, an hour north of Santiago in Veraguas Province. The village of Santa Fe (population approximately 1,200) is part of a rural farming community, reached by a two-lane highway. A small town center includes a few stores, restaurants and inns, a coffee processing plant, and the Catholic Church, with its bright blue roof. Santiago, the provincial capital, is the closest commercial center. Foreigners from around the world have made their homes here among the local families, where the daily pace is slow and everybody knows each other. At an elevation of about 1,500 feet, Santa Fe is surrounded by the national park of the same name, and is well-known for its spectacular orchids and handmade woven hats. Birding, hiking, horseback riding, and tubing on the nearby Santa Maria River are favored activities for visitors. Santa Fe is off the beaten path, so it may appeal to those who seek solitude and are more self-reliant. Cerro Azul is the perfect choice for those who are looking for mountain living with all the perks of big-city life nearby. Panama’s western-most province, Chiriquí, is home to Baru Volcano, the country’s highest peak at an elevation of 11,400 feet. Baru is a legitimate mountain with cool climate, cloud cover, and frequent rain, granting a view of both the Pacific Ocean and Caribbean Sea on clear days. These highlands produce some of the finest coffee in the world, including the exotic Geisha variety. Boquete, one of Panama’s best-known expat destinations, sits on the east-facing slope of Baru Volcano. Favored for its spring-like weather and truly beautiful scenery, this mountain town has a large and active expat community. The town itself (population approximately 6,600) is small but busy, with plenty of shops, grocery stores, and all the basics. The city of David, the provincial capital, is less than an hour away and is the commercial center of the area. There is no shortage of things to do and see in and around Boquete, with hiking trails galore, bird-watching, horseback riding, and more. The town boasts no less than five world-class spas, a terrific public library, and a vibrant arts and music scene. Boquete is a great choice for people who want to be in the center of activity, with a variety of clubs and groups providing a wide assortment of ways to occupy your time. The towns of Volcan and Cerro Punta are located on the other side of Baru Volcano, facing west. This region is true farm country and is known as the bread basket of Panama. Along the road that winds up the slope you pass horse stables, fenced pastures, dairy farms, flowering plant nurseries, and acres upon acres of crops. Volcan (population approximately 12,000) has a full-range of stores and services, hotels and restaurants, along with a unique archaeological site. It has become more popular with foreigners recently as a less crowded and more affordable option than Boquete. At an elevation of about 4,600 feet, you won’t need air conditioning or heating in Volcan, and fresh produce is abundant and inexpensive. Cerro Punta (population approximately 3,000) has less to offer, being an agricultural center, but presents spectacular scenery and access to Volcan Baru National Park with its hiking trails to Boquete or to the top of the volcano. 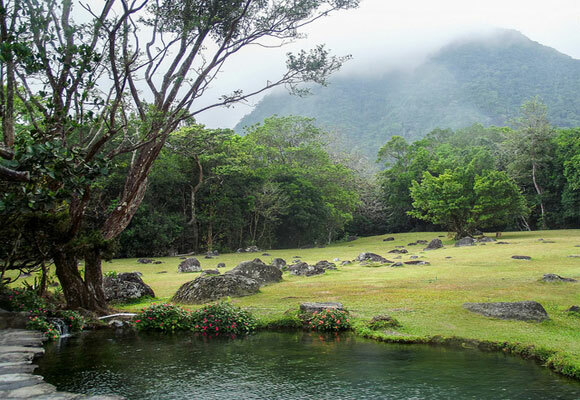 Despite being in the tropics, Panama’s highlands defy the heat. 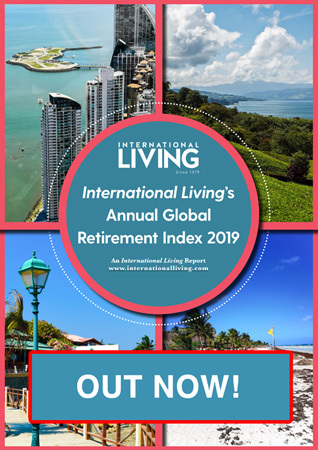 The mountains are small—not like the Alps or the Andes—but their elevation is enough to alter the climate from hot and muggy to cool and refreshing, which is why these locations are so appealing. Two things make each highland town unique. The first is its specific location along the east-west corridor, and the characteristics of that location. The second is the people who reside there and the personality they bestow. All of these delightful towns are worthy of an exploratory visit, and one just might become your future home.